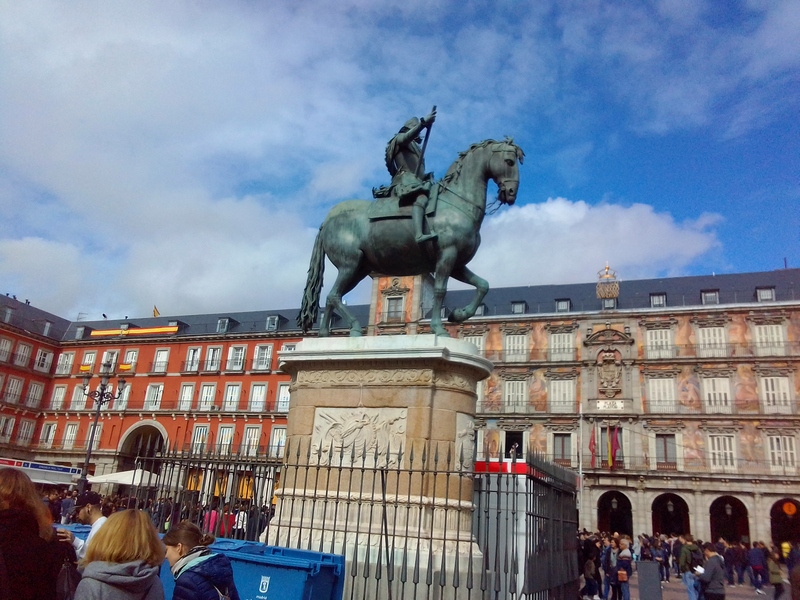 While I haven’t traveled much while abroad, I did go to the Spanish capital with IES for a three day excursion. And I’m quite in love. Coming from a small town I’ve really loved being in a city, especially one as vibrant and bustling as Barcelona, but the constant thrumming heart beat of such a densely populated and hectic place has started to wear me down. 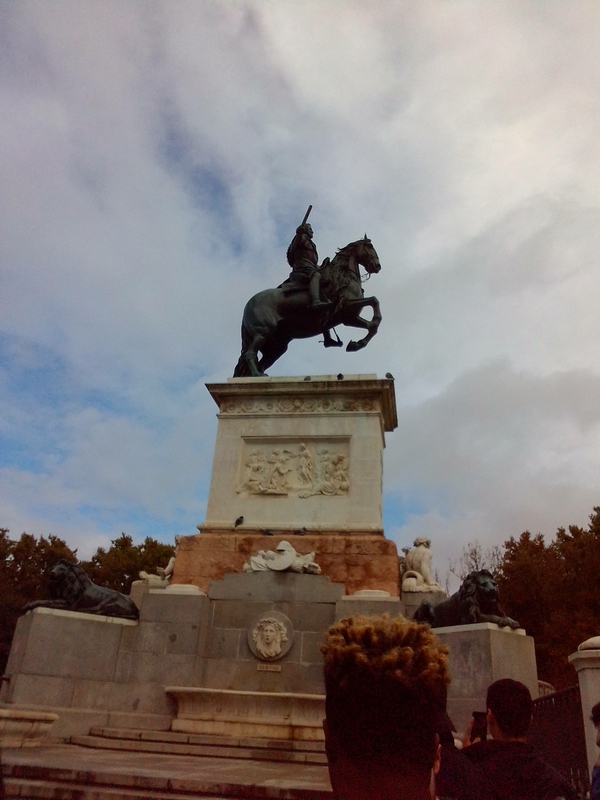 The first thing that struck me about Madrid was how huge and spacious it felt. Barcelona can start to close in on you after a while, mostly because while it seems so large it’s actually very enclosed with the ocean on one side and the mountains so close on the other. Madrid stretches out and feels endless. I also had the extreme pleasure of being surrounded by the Spanish language. 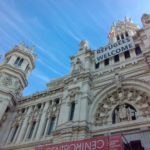 In Barcelona it’s a seventy-thirty shot that something you’re reading or hearing is Catalan, and in Madrid that cultural difference is non-existent. I enjoyed that because I’ve been studying Spanish, and I actually felt like I’d come a long way towards fluency when I was in Madrid, understanding signs and picking up bits of conversation. 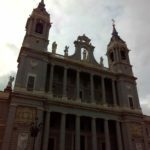 Madrid is also absolutely gorgeous, I took a tour of the major sights, and every edifice seems to be some mesmerizing, historical, architectural, masterpiece. 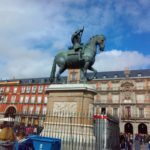 Nestled among this major city are such things as the royal palace, the homes and haunts of everyone from Cervantes to Velázquez, it’s a lot. 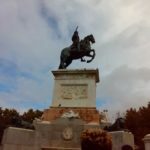 All of Europe seems connected to a long and illustrious past, but in Madrid that history seems so much more alive and present. I had the immense honor of seeing (a small fraction) of the Prado. If there’s any place I wish I could visit again, it’s the Prado. There’s so much art and history, and every room is equally as breath-taking as the last. It’s also one of the largest museums I’ve been in, so getting lost for a day or two wouldn’t be a bad idea. I also toured the Reina Sofia, which was more modern and less expansive, but equally as inspiring. 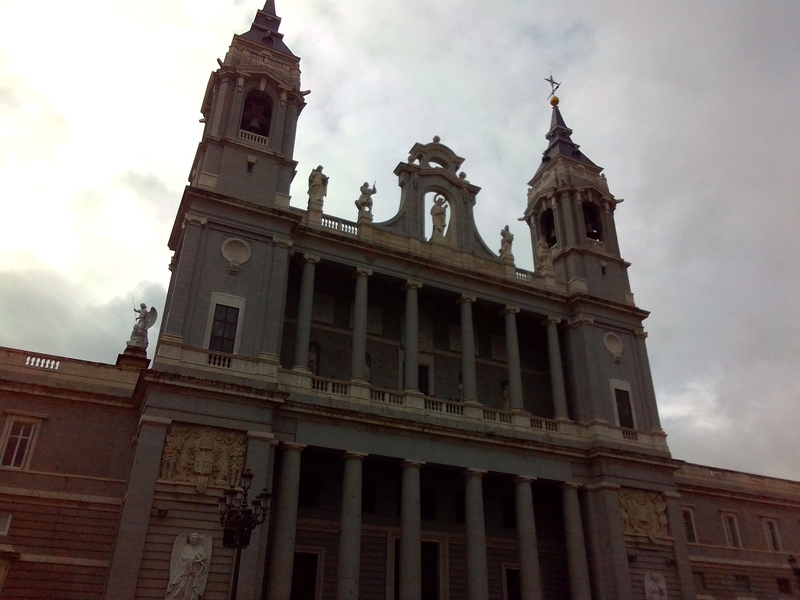 My favorite thing about Madrid was how much it inspired me artistically. 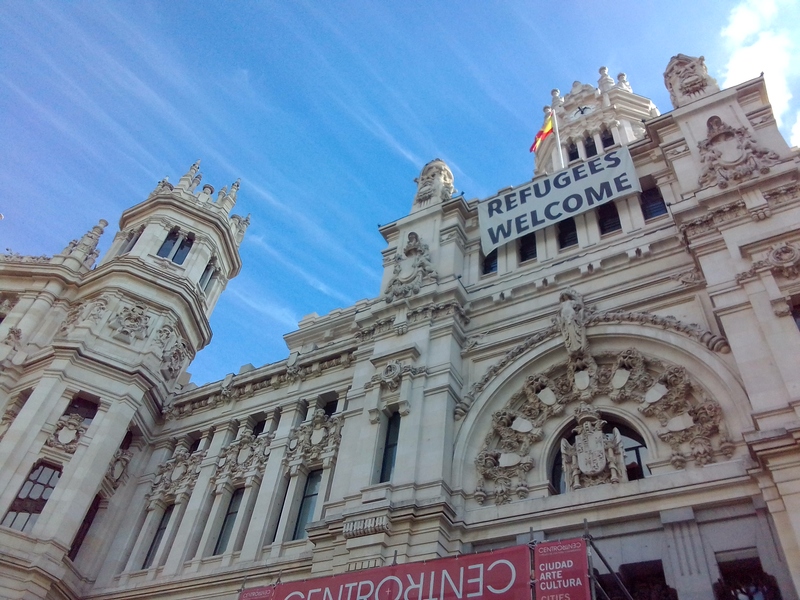 Even if you’re not an artist, I feel Madrid has an energy that’s particularly haunting in that sense. And perhaps the greatest aspect of this trip I haven’t shut up about, was the green. 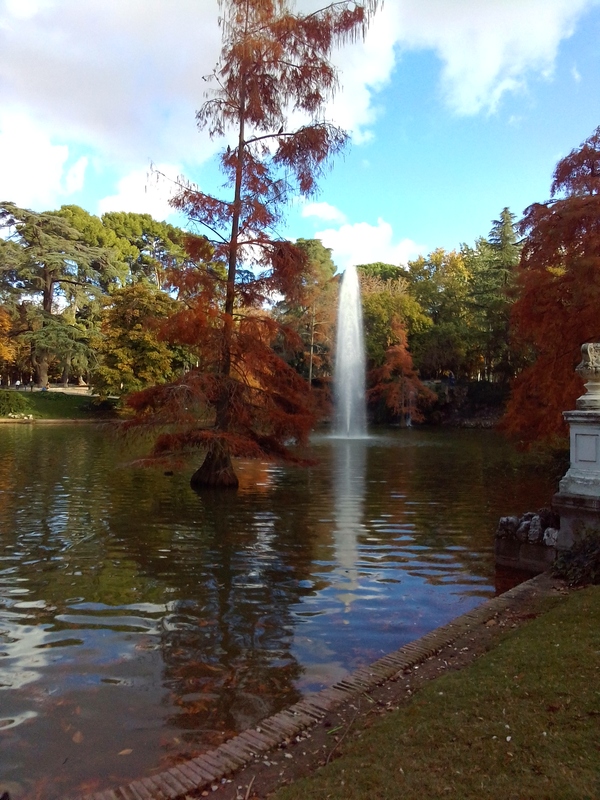 Very close to our hotel was the Retiro, and huge and tranquil park in the middle of the city. 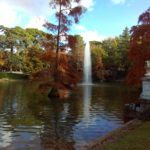 Sure, there are parks everywhere, but there’s so much in the Retiro, you feel less like you’re in a park and more like you’re in a desolate forest. There’s a solitude and quiet there I haven’t been able to find anywhere else. 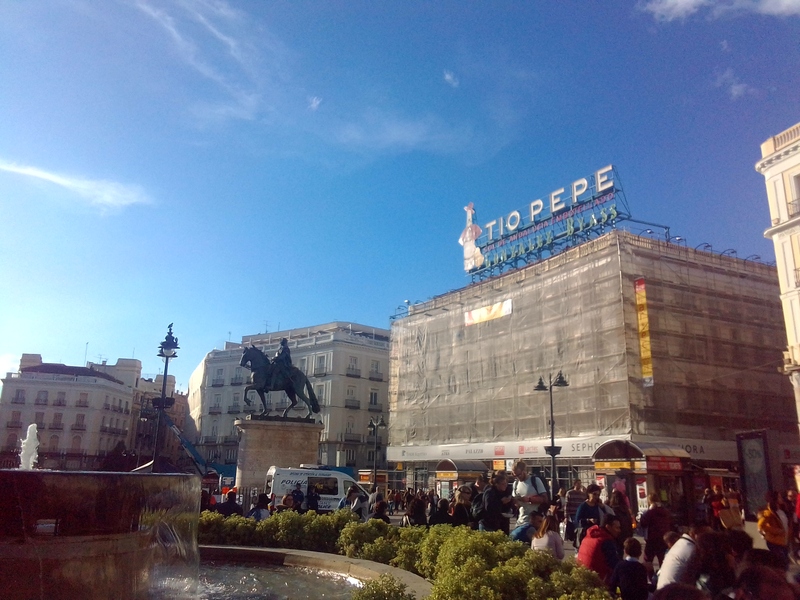 There’s a few other highlights of course, the late night churro place, the Puerta del Sol, so on. 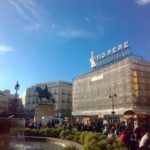 But I think my favorite thing about Madrid was the energy – it’s unlike any other place I’ve been and it’s now in stiff competition for my favorite city.